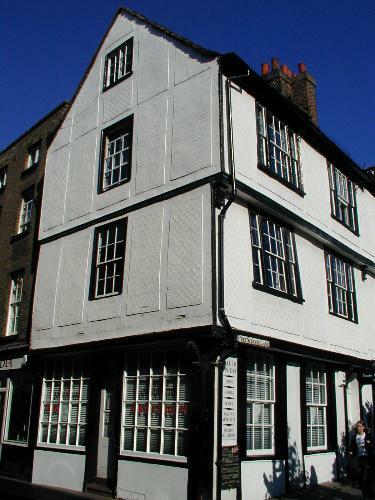 One of a couple of old buildings, dating to the late 16th century, located at the corner of Free School Lane and Bene't Street (number 1 Free School Lane is also number 13 Bene't Street). 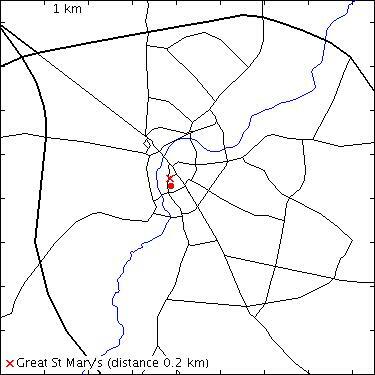 In late medieval times the area was occupied by an Augustinian Friary and the building was also known as the Friary House. It was almost completely rebuilt in 1975, and textured patterns appropriate for a 1600 era building were added to the external walls by the plasterer Ivan Howlett.